AUSTIN, Texas — In the growing Democratic presidential field, they seem like a study in opposites. 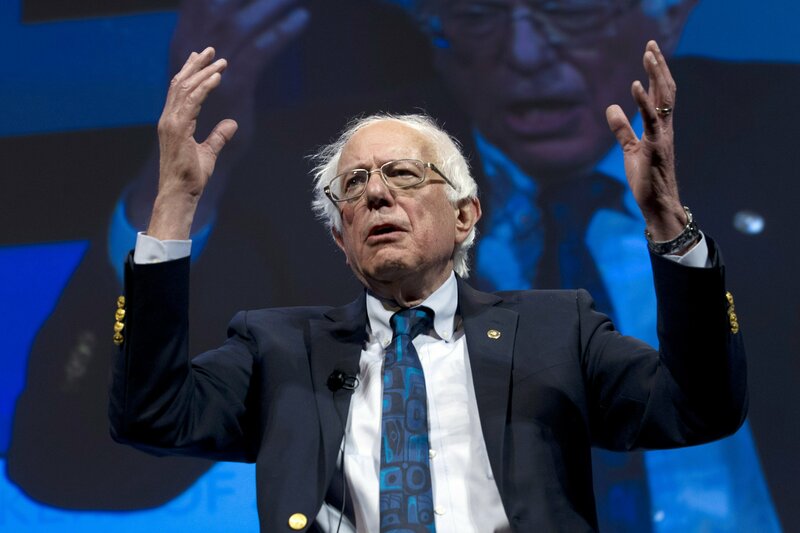 One’s 77, a democratic socialist from the U.S.-Canada border state of Vermont, who exudes a curmudgeonly grumpiness and bursts with detailed policy proposals. The other’s a boyish 46-year-old native of the U.S.-Mexico border city of El Paso, Texas, who livestreams his skateboarding prowess and offers hopeful but vague paeans to tolerance and cooperation. Bernie Sanders and Beto O’Rourke may represent different poles among the dozen-plus Democrats vying for the White House, but they have key commonalities that now inject special tension into their rivalry as they ramp up their campaigns. Now, though, it’s not clear both can exploit their strengths while going head-to-head. Already, they find themselves recruiting some of the same campaign talent, with a few veterans of Sanders’ 2016 presidential bid having signed on this time with O’Rourke. While other candidates in the 2020 race have natural connections to other parts of the Democratic voting base, Sanders, a U.S. senator, and O’Rourke, a former congressman, could find themselves in more of a zero-sum contest for the same turf. Both will be in Iowa this weekend campaigning for the upper hand. “If Bernie begins to surge, the Beto people will largely go there. The opposite’s true, too,” said Jim Hightower a former Texas agriculture commissioner who was a top state Sanders supporter in 2016 but also among the first to counsel O’Rourke on his near-upset in November of Sen. Ted Cruz. This week, Sanders announced that he raised $18.2 million in 41 days of campaigning through March 31. O’Rourke countered that he’d collected $9.4 million in an 18-day period, or $520,000-plus daily. “He has plenty of competition in the authenticity category now,” including from Sen. Kamala Harris of California and Mayor Pete Buttigieg of South Bend, Indiana, who also have attracted strong online fundraising. Still, Bennett said, O’Rourke may prove the stiffest test to Sanders given that his donor base is so similar — a key metric for campaign strength so early in the electoral cycle. But Sanders and O’Rourke have shown they can consistently draw throngs of young voters to their rallies. Sanders’ crusty passion — and willingness to fight for policy ideas that seemed far-fetched, even if it wreaked havoc on both parties — appealed to 2016 voters who were sometimes less than a third his age. O’Rourke, who was still in high school when Sanders entered Congress in 1991, has whipped up enthusiasm by preaching optimistic bipartisanship to meet challenges like climate change. Texas’ 2018 midterms — which included O’Rourke’s Senate race — drew nearly 1.1 million voters between ages 18 and 29, or 235% more than the state’s midterms in 2014, in no small part due to his campaign. As the nation’s population gets older, young voters are seen as increasingly important to Democratic candidates. In the early weeks of his campaign, O’Rourke has prioritized visiting colleges. He’s impressed some previous Sanders supporters with the 30-year gap between them. “I think it’s really important to get people excited, and I think that’s what Beto does, and I’m not sure Bernie does anymore,” said Meaghan O’Connor, 21, a Sanders voter in 2016 who attended an O’Rourke campus rally at Penn State University last month. Both Sanders and O’Rourke have worked to reach other demographic groups. Sanders has recalled his days as a civil rights activist at the University of Chicago, and O’Rourke has made three visits since 2017 to historically black Texas Southern University in Houston. Despite having overlapping strengths, O’Rourke and Sanders are different politically. O’Rourke is more establishment-minded, promising to work with Republicans and appeal to past Donald Trump supporters. His message that relies more on optimism than specifics reminds some of Barack Obama’s 2008 pitch. Sanders specializes in specificity, best illustrated by his “Medicare for All” health care plan, calls for $15 hourly minimum wage and proposals to shrink large investment banks.